The Lion Air Flight 610 crash of Boeing 737 Max 8 on October 29, 2018 in which 189 people lost their lives, brought out huge issues which are even now under investigation and hence not yet in public domain. 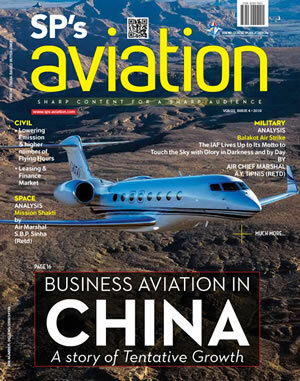 The Ethiopian Airlines Flight 302 crash on March 10, 2019 of yet another Boeing 737 Max 8 under almost similar circumstances in which all 157 on board perished, has brought into sharp focus, the issue of safety related to this latest platform from the global aerospace major. The Boeing 737, the world’s most sold airliner, has been a phenomenal success in the airline industry the world over. It first flew on April 9, 1967 and entered service on February 10, 1968 with Lufthansa. As of end- February 2019, a total of 10,510 airplanes have been delivered to the global airline industry and 15,233 are currently on order. The Boeing 737 has been in continuous production since the sixties and in its life time, it has undergone periodic upgrades. Some basics need to be highlighted at this stage as some of these features have eventually played a major role in the recent disasters. The aircraft was designed with a notoriously low landing gear length to provide easy access for the servicing crew for inspection of the podded engines whose nacelles were mounted directly on the under surface of the wings. Hence when the upgrades began, a very major issue was adequate ground clearance of the podded engines. The second generation of the Boeing 737 designated as 300, 400 and 500, were introduced in the 1980s and these are now referred to as ‘Classics’. The third generation of the platform referred to as Next Generation (NG), were the 600, 700, 800 and 900. These were introduced in the 1990s and are currently in production. The Classic and NG enjoy “Grandfather Rights” which means that a pilot on completion of the prescribed training, could fly any of these variants as a matter of routine. To return to the problems posed by the notoriously low landing gear length, the nacelles had to be suitably modified and shaped in a manner as can be seen in the pictures given in the article. The first picture (Image-I) is of the ground clearance of the engine nacelle on the Boeing-200. 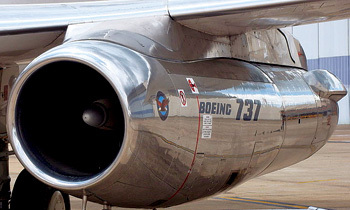 When the Classics and NG were designed, the new “Big Fan” engines had to be accommodated with adequate engine clearance by significantly flattening the lower surface of the engine nacelle, as can be seen in the second picture (Image-II). 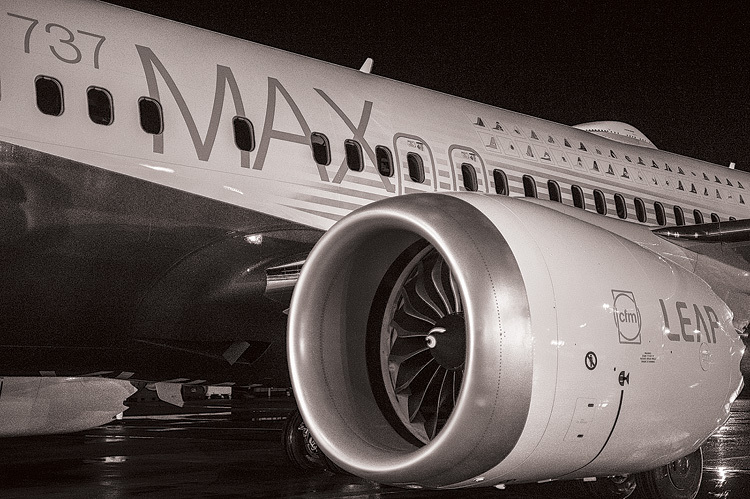 When the Max was being designed with the Leading Edge Aviation Propulsion (LEAP-1A) engines, Boeing once again ran into problems of ground clearance. 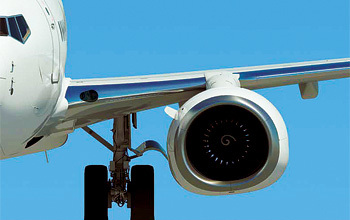 To overcome this problem, the designers found a way of accommodating the even larger fan engine under the wing. They achieved this by moving the engine just a wee bit forward and just a little bit higher. It can be seen very clearly in the third picture (Image-III). This was achieved by extending the nose landing gear by eight inches. In this manner they succeeded in achieving a fuel efficiency of 14 per cent. These changes however, altered the handling characteristics to some extent. Whilst approaching the stall, the relocated engines and the modified engine nacelle shape, caused an upwards pitching moment. In short, approaching the stall, the nose of the Max was being pushed upwards. A short description of the airplane’s pitch control needs to be given for better understanding of the problem. The control column operates the elevator via push-pull rods and a hydraulic hydro booster. The pitch trimming is achieved by operating the horizontal stabiliser electrically. It can also be moved to the desired position manually. The autopilot has authority over the stabiliser by moving it electrically. To prevent unusual pitch changes caused in an unlikely event of runaway trim, there are cross-trim cutoff switches at the base of the control column. These prevent the trim from moving in the opposite sense that is when the control column is pulled back, the trim cannot be operated to pitch the nose down. To overcome this problem, during its Part 25 Certification, Boeing “quietly” introduced the Maneuvering Characteristics Augmentation System (MCAS).This system was meant to obviate the possibility of pilots getting into the undesirable effects of a stall. The system would automatically reduce the angle of attack by lowering the nose of the aircraft. This would be achieved by the horizontal stabiliser automatically providing a “nose down” pitch input. The word “quietly” is of significance as Boeing never mentioned a word of this system to the operators. The only official document to describe the airplane to the operator is the Flight Crew Operations Manual (FCOM). It has been completely silent on the existence of this system even to this date. The system functions in a manner as described below. When flying at normal angles of attack (three degrees in cruise and five degrees in a turn) the destabilising effect of the larger engines are not felt. 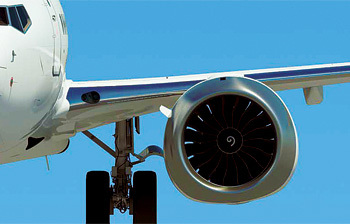 The engine nacelles do not generate lift in normal flight. But if the pilot manoeuvres the aircraft hard, generating an angle of attack close to the stall angle of around 14 degrees, the otherwise neutral engine nacelle generates lift. This results in a pitch up moment, which is now stronger than on the 737NG. This destabilises the MAX in pitch at higher Angles Of Attack (AOA). The most difficult situation is when the manoeuvre has a high pitch ratio, i.e. a dynamic manoeuvre. The aircraft’s inertia can then provoke an over-swing into a fully developed stall. 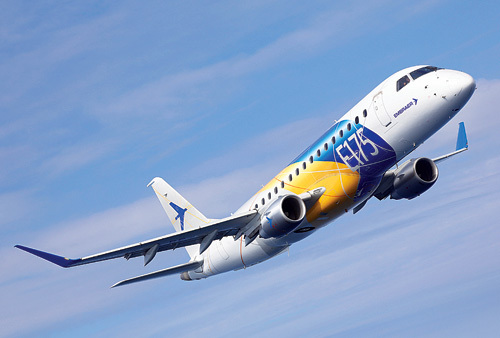 To counter the lower stability margin of the Max at high AOA, Boeing introduced the MCAS. Dependent upon the rate of pitch and mach number, the MCAS simply takes over authority of the Horizontal Stabiliser and moves it to produce a nose down pitch. It moves the stabiliser at a rate of 0.27 degrees per second for a duration of under 10 seconds. Thus the stabiliser is moved through 2.5 degrees to produce a nose down pitch. Should the system sense that the airplane has recovered from the stall, movement of the stabiliser stops. If recovery from the stall is not sensed, the stabiliser continues its travel to produce a nose down pitch for another burst of close to 10 seconds. This will continue till the stabiliser reaches its physical stop. At that stage, even full aft deflection of the control column cannot overcome the nose down pitch of the stabiliser. Now comes the most important aspects of this system. Physical countering of the nose down pitch by movement of the control column in the nose up sense (stick back) will not stop the stabiliser movement (explanation of the pitch control system refers). It can only be stopped by operating the control column-mounted trim switch in the opposite sense (nose up) or by tripping the Stabiliser Trim Cutoff Switches. The manufacturer knows his airplane best of all. With basic facts accepted, if Boeing wanted to introduce the MCAS for stall alleviation, all the company had to do after Part 25 Certification was to describe the system in detail in the FCOM and put in place Normal and Non-Normal operating procedures. To go into detail, when MCAS cuts in and starts operating, the Flight Mode changes. Therefore, it is mandatory that a Flight Mode Annunciator (FMA) indication is given to the pilot to make him aware that the MCAS is in operation. The FMA must change when the MCAS stops operating. This has not been done as the system supposedly does not exist. Procedures have to be created to counter malfunctions in the system. A simple description of the system would have highlighted the fact that the unwanted movement of the stabiliser caused by the MCAS, can be stopped with the opposite movement of the Thumb Operated Column Mounted switch. That is all that was required. The sad part of this whole saga is that since Boeing decided not apprise the operator of the existence of this system, the following problems came up. An FMA could not be generated to inform the pilot that the MCAS was in operation. Therefore there was no FMA when MCAS stopped operating. The pilot was not aware that the stabiliser movement could be stopped by operating the thumb operated normal trim switch in the opposing direction. Lastly, the pilot had no knowledge that aft movement of the control column will not stop the stabiliser from continuing its nose down travel. These are the major differences from a runaway trim condition and a malfunctioning MCAS operation. Therefore, when Boeing said that the Lion Air pilots ought to have used Runaway Trim Non-Normal Procedure of switching off stabiliser trim cutoff switches, it is an insult to the operators by the manufacturer. Southwest Airlines, the single largest operators of the Boeing 737, has the following to state “Since MCAS operates in a situation where the aircraft is under relatively high g load and near stall, a pilot should never see the operation of MCAS. As such, Boeing did not include an MCAS description in its FCOM. The explainer continues: “In this case, the MCAS will trim nose as designed to assist the pilot during recovery, but this is likely to go unnoticed by the pilot”. There is another explanation, according to a report in the Wall Street Journal: “One high-ranking Boeing official said the company had decided against disclosing more details to cockpit crews due to concerns about overloading the pilot with too much information and significantly more technical data than they needed or could digest”. This is shocking, coming from Boeing that has manufactured aircraft for over a century and has produced some of the finest flying machines. The Boeing 747 was the undisputed “Queen of the Skies” for half a century. Today, the company does not deem it fit to inform the operator about a “brand new” system which has authority to override the pilot’s inputs in pitch. As a result of a conscious decision taken by the company to keep the operator in the dark, there have been two accidents with over 300 lives lost. Finally, Boeing says they will do what should have been done as step one. The next question is how did FAA grant it approval? Was the FAA also kept in the dark or was there collusion? There are several other questions that need to be answered related to professional, ethical and legal domains. The Lion Air accident is said to have been caused by erroneous information being given by one AOA vane. This sounds illogical as there are two AOA vanes and the information must necessarily be compared, number crunched with the FMC information and then decided whether it is a vane problem or an aircraft problem. A single vane problem must and can be isolated before the MCAS kicks in. Since there is no detailed description of the system from the manufacturer, one has no choice but to depend on websites for data. Boeing needs to issue a fresh FCOM with a detailed description of the system, introduce proper Normal and Non-Normal Operating Procedures. They have now accepted that they will, but it is too little and too late. If only Boeing had gone about introducing this system in a thoroughly professional manner, given the Normal and Non Normal procedures, the operating crew could have been adequately trained. All that was needed to deactivate the system was a trim input from the normal trim switch on the control column. The crew were simply unaware of this. Had they been aware and adequately trained, these fatal accidents may never have taken place. From all the data available in the public domain, it appears that to achieve some short term benefits like “Grandfather Rights” or some other benefits unknown to the rest of the world, there has been a loss of 346 innocent lives. 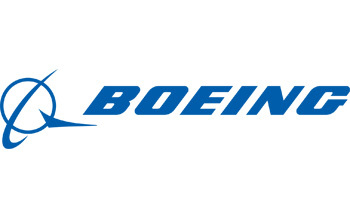 We need to wait and watch and see how Boeing redeems the situation. 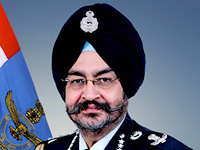 After premature retirement in the rank of Group Captain from the Indian Air Force and 6,000 hours of flying experience, Ajit Agtey joined civil aviation. Initially he flew with Taneja Aerospace and subsequently joined Jet Airways and continued to fly up to the age of 65. In Jet Airways, he flew the Boeing 737 Classics, New Generation and Airbus A330 aircraft. By the time he retired from Jet Airways, he had clocked 18,000 hours of flying of which 10,000 were on all variants of the Boeing 737. He is now an instructor with CAE on the Flight Simulator.